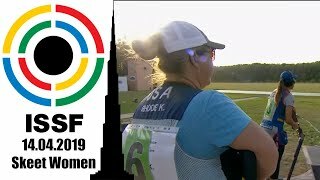 The Iranian shooter claimed her first world cup gold medal in this event, finishing ahead of China’s Chen and Zhang in an odd-defying victory. 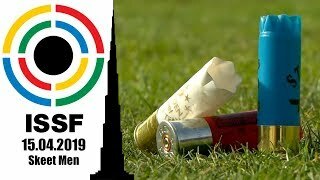 The 35-year-old shooter secured the brightest medal with total tally of 455.4 points and a margin of 1.3 points on her follower. Chen Dongqi, 29, from the People’s Republic of China, won silver with 454.1 points. Her teammate Zhang Binbin followed her collecting bronze with 444.0 points. Ahmadi had never won a world cup gold medal before, in this event. Her best result in career, a third place place, dated back to 2010, when she finished on the podium at the ISSF World Cup in Beijing. Ranked 81st in the world, the Iranian athlete marked a odd-defying victory, beating two world record holders, today. 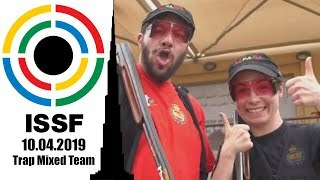 Silver medalist Chen and bronze medalists Zhang (the 2016 Olympic silver medalist) had indeed equalled the world record earlier today, as they scored 1180 points throughout the qualifications. Furthermore, Zhang had equalled the same record also during the eliminations, yesterday morning. 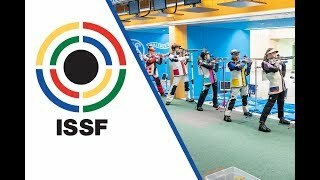 During the final, they both struggled through the Kneeling series, sliding down the table, then climbing back again during the Prone section of the match. The Standing position made a selection among the finalists, with Ahmadi shooting consistently and climbing up to the top of the scoreboard. Following the medalists, 2014 Youth Olympics silver medalist Martina Lindsay Veloso, 18, from Singapore, took the fourth place, closing her first final ever in this event with 432.4 points. 22-year old Yulia Zykova of the Russian Federation ended up in 5th, with 423.1 points. 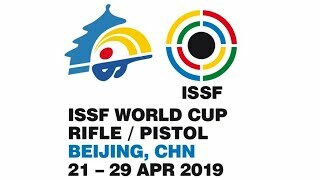 India’s Anjum Moudgil, 24 - who had also equalled the world record of 1180 points during yesterday’s elimination - finished in 6th with 413.4 points, ahead of Denmark’s Rikke Maeng Ibsen (7th with 402.5 points) and of Bae Sang Hee of South Korea (8th with 402.1 points).